An artist and activist, Ai Weiwei has been a key figure in the international dialogue regarding human rights and associated cultural and social issues, with his work incorporating elements of art, architecture, tradition and craft in the context of contemporary installations. 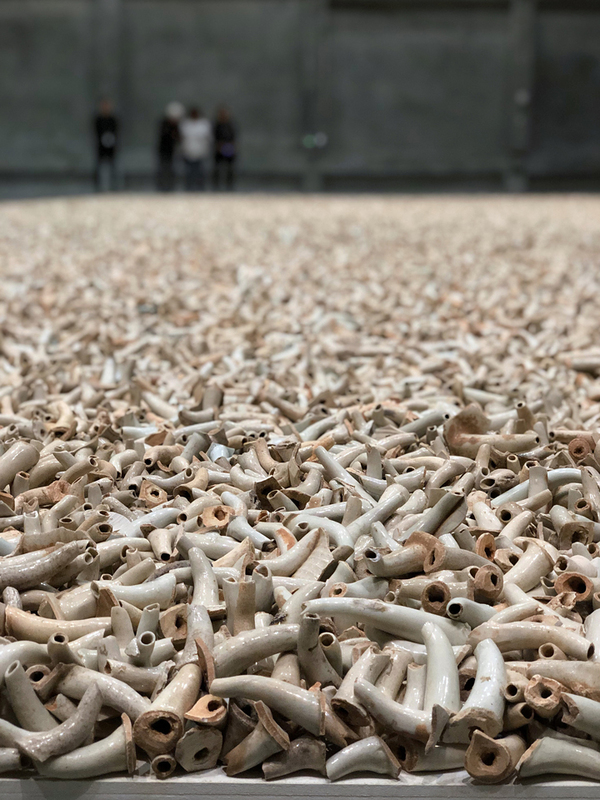 The exhibition, at Marciano Art Foundation, includes several works from the past decade and utilizes materiality, texture and scale to illustrate critical social commentary. 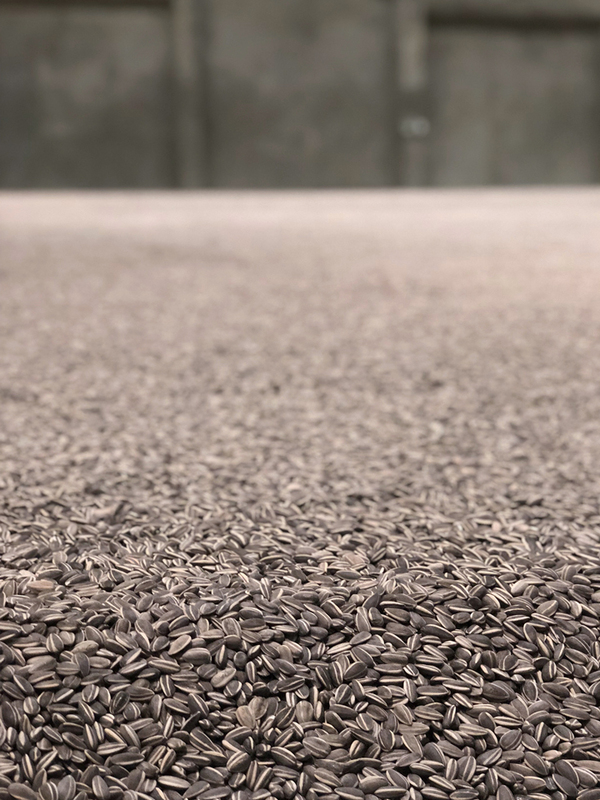 The first installation is Sunflower Seeds (2010) - an expansive bed of handmade porcelain sunflower seeds occupying a 4,000 square foot rectangle in the main gallery. Nearby, Spouts (2015) is a similar installation, displaying thousands of broken antique teapots. 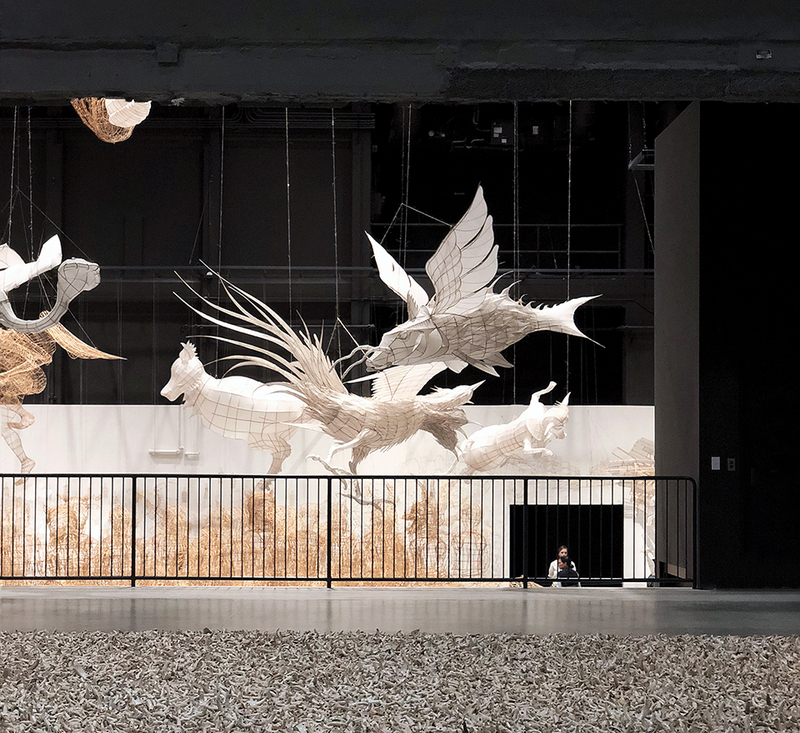 Life Cycle (2018) is the most recent of Ai Weiwei’s work and addresses the international refugee crisis through the representation of a boat crafted from bamboo using traditional techniques. 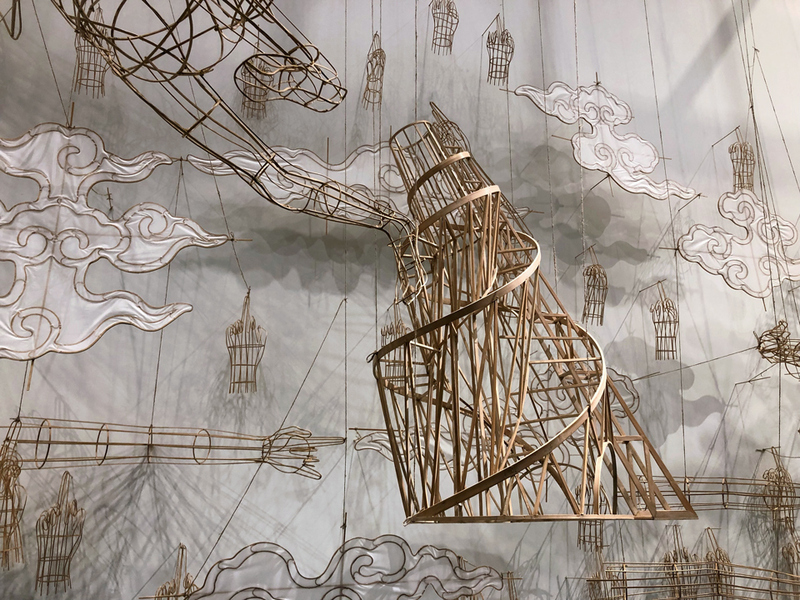 Surrounding the sculpture are works from Windows (2015) and Shanhaijng (2015), a series of suspended bamboo and silk figures referencing Chinese mythology. 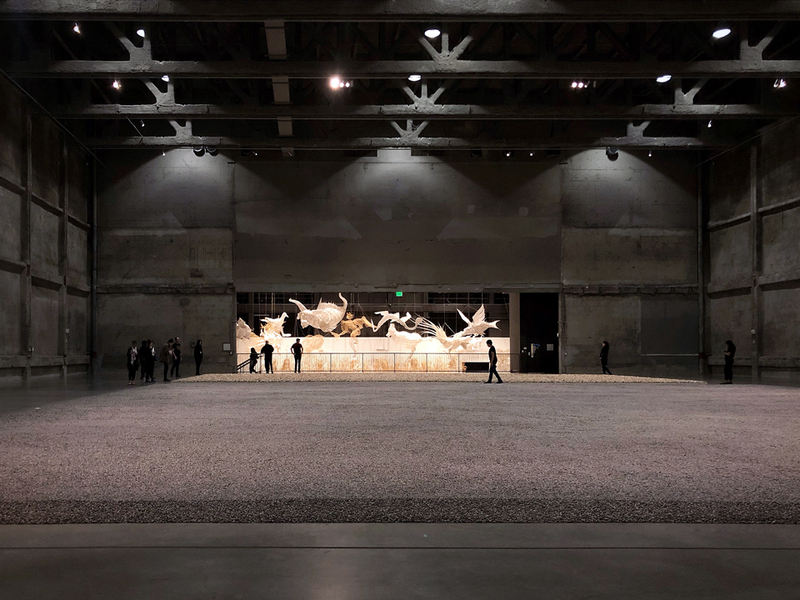 Find more information on this exhibition at Marciano Art Foundation, and revisit more photos at a previous post from Ai Weiwei’s project @Large on Alcatraz Island in San Francisco.